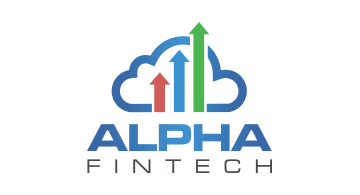 Alpha Fintech is evolving the payments industry by consolidating the entire payments, risk and transaction world onto one omni-channel solution-access platform, the AlphaHub. Through the AlphaHub, connected Banks, Merchants, MSPs and ISOs gain access to any solution provider in the World. The AlphaHub eliminates the need to ever undergo another integration again and evolves the process of integration to match the speed of your innovation. The depth and range of connected service providers and solutions span across the entire transactional, risk management and commerce solution spectrum, with over 100 third party solutions and a suite of white-labelled products currently available. The list of available solutions include gateways, alternative payments, FX solutions, eWallets, processors, fraud screening, chargeback management, ID/Phone/Email/Device/Bank/Social verification, tokenization, shopping carts, sales tax management among a host of others, with services spanning over 60 countries worldwide. Additionally, the AlphaHub proprietary orchestration engine enables users to customize down to the individual transaction layer, leveraging each solutions’ unique functionality and benefits, versus the now dated and time consuming process of selecting, integrating and limiting yourself to a single providers’ functionality. Alpha Fintech shifts the mindset from replacing to enhancing and leveraging every unique functionality or benefit from each vendor, thereby making the sum total greater than the sum of its parts by unlocking a whole new array of risk and cost mitigation possibilities through intelligent decisioning. Rule sets can be applied to an array of alternative payment types, international currencies, geographic locations, response times and any other business needs that arise. For example, a user may want to run their safest transactions through lower-cost fraud solutions, while running riskier transactions through premium tools, bringing their overall weighted average fraud cost down. These rule sets can be applied to any type of transaction and literally only take a few mouse clicks and seconds to set up, making the challenges of access, functionality and flexibility a thing of the past. New rule sets can be tested against prior transaction volume to ensure further operational optimization.